John T. Dougherty CPA, LLC has been providing quality, personalized financial guidance to individuals and businesses since 1988. We have a broad range of expertise which allows us to tailor our services to meet the unique needs of each of our clients. We are one of the leading firms throughout the area. By combining our expertise, experience and the team mentality of our staff, we assure that our clients receive the analysis and attention they deserve. Our dedication to high standards, hiring of seasoned tax professionals, and work ethic is the reason our client base returns year after year. 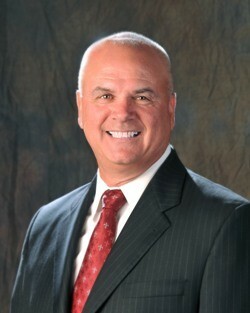 John is the founder and owner of John T. Dougherty CPA, LLC. His firm specializes in tax planning and preparation services. John opened his own practice after a distinguished career as a tax specialist with Ernst & Young and PricewaterhouseCoopers and as a partner in a local accounting firm. A noted educator, John started the accounting program at Katherine Gibbs School in Norwalk, Connecticut in 1989. Additionally, he delivered lectures on real estate taxation and tax law changes for the state of Connecticut’s continuing education program for realtors. He has also taught accounting and mathematics at the Westchester Business Institute (currently known as College of Westchester). John is a graduate of Iona College in New Rochelle, New York. He and his wife, Arlene, have two children and reside in Trumbull, Connecticut. John is a member of the American Institue of Certified Public Accountants (AICPA) and the Connecticut Society of CPAs (CTCPA).